The objective of this study was to investigate the performance and process stability of a novel dry anaerobic digestion system. For this purpose, a dry anaerobic digester (100 L) with percolate tank (200 L) was designed at pilot scale. Municipal solid wastes were fed into the dry fermentation unit and system was operated with intermittent recycling of leachate through percolation unit back to the dry fermentation unit twice a day. Gas production in both unit was recorded daily and gas content and leachate analysis were carried out periodically. A batch feeding of solid waste (17.5 kg waste) having less than 5 cm particle size with a dry matter of 13% and organic dry matter of 85% was carried out and process was operated for 60 days. Results indicated that 560 L methane per kg organic dry matter was produced. This corresponds to biogas production 119 m3 per ton of wet solid waste. It was also observed that the main gas production took place in percolate tank and the solid digester acted as a hydrolysis and acid reactor indicated by the low gas production and acidic leachate characteristics. There were also almost no digestate generation which eliminates costly post treatment units before the discharge of digestate, which is a critical problem for wet digestion counterpart. N. G. Turan, S. Çoruh, A. Akdemir, O. N. Ergun, “Municipal solid waste management strategies in Turkey”, Waste Management, vol. 29, pp. 465-469, 2009. T. Yang, Y. Li, J. Gao, C. Huang, B. Chen, L. Zhang, X. Wang, Y. Zhao, B. Xi, X. Li, “Performance of dry anaerobic technology in the co-digestion of rural organic solid wastes in China,” Energy, vol. 93, pp. 2497-2502, 2015. J. Fernández-Rodríguez, M. Pérez, L.I. Romero, “Dry thermophilic anaerobic digestion of the organic fraction of municipal solid wastes: Solid retention time optimization,” Chemical Engineering Journal, vol. 251, pp. 435-440, 2014. S. K. Cho, W. T. Im, D. H. Kim, M. H. Kim, H. S. Shin, S. E. Oh, “ Dry anaerobic digestion of food waste under meshophilic conditions: Performance and methanogenic community analysis,” Bioresource Technology, vol. 131, pp. 210-217, 2013. X. Ge, F. Xu, Y. Li, “Solid-state anaerobic digestion of lignocellulosic biomass: Recent progress and perspectives,” Bioresource Technlogy, vol. , pp. 239-249, 2016. J. Zhu, Y. Zheng, F. Xu, Y. Li, “Solid-state anaerobic co-digestion of hay and soybean processing waste for biogas production”, Bioresource Technlogy, vol. 154, pp. 240-247, 2014. P. Michele, D. Giuliana, M. Carlo, S. Sergio, A., Fabrizio, “Optimization of solid state anaerobic digestion of the OFMSW by digestate recirculation: A new approach,” Waste Management, vol.35, pp. 111-118, 2015. I. Angelidaki, L. Ellegaard, B. K. Ahring, “A mathematical model for dynamic simulation of anaerobic digestion of complex substrates: focusing on ammonia inhibition,” Biotechnology and Bioengineering, vol. 42, pp. 159-166, 1993. M.Y. Qian, R. H. Li, J. Li, H. Wedwitschka, M. Nelles, W. Stinner, H.J. Zhou, “Industrial scale garage-type dry fermentation of municipal solid waste to biogas,” Bioresource Technology, in press, 2016. C. Rico, J. A. Montes, N. Munoz, J. L. Rico, “Thermophilic anaerobic digestion of the screened solid fraction of dairy manure in a solid-phase percolating reactor system,” Journal of Cleaner Production, vol. 102, pp. 512- 520, 2015. D. Y. C. Leung, J. Wang, “An overwiev on biogas generation from anaerobic digestion of food waste,” International Journal of Green Energy, vol. 13:2, pp.119-131, 2016. A. Khalid, M. Arshad, M. Anjum, T. Mahmood, L. Dawson, “The anaerobic digestion of solid organic waste,” Waste Management, vol. 31, pp. 1737-1744, 2011. ISNAD ARSLAN, Kubra . "Use Of a Novel Bioreactor Configuration in The Form of High Solid Digestion for Municipal Organic Wastes at Pilot Scale". 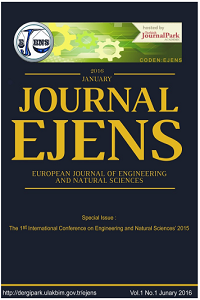 European Journal of Engineering and Natural Sciences 2 / 1 (February 2017): 120-125.